Activated charcoal is one of the most powerful, natural ingredients. Charcoal is quickly gaining recognition and becoming one of the most sought-after ingredients in the world of beauty. Products consisting of charcoal give your skin exceptional results from the very first use. When you incorporate this ingredient into your daily routine, you will see your skin transform a little, day after day. Charcoal draws out all the impurities from your skin and gives it a natural glow. Oily skin, acne, clogged pores, blackheads and whiteheads are just some of the few skin woes that charcoal addresses. The easiest, most affordable DIY beauty therapy is a Charcoal Face Mask. Although we associate charcoal with dust, it, in fact, does just the opposite. With its natural absorbent qualities, a charcoal face mask normally works like a vacuum cleaner for your skin. 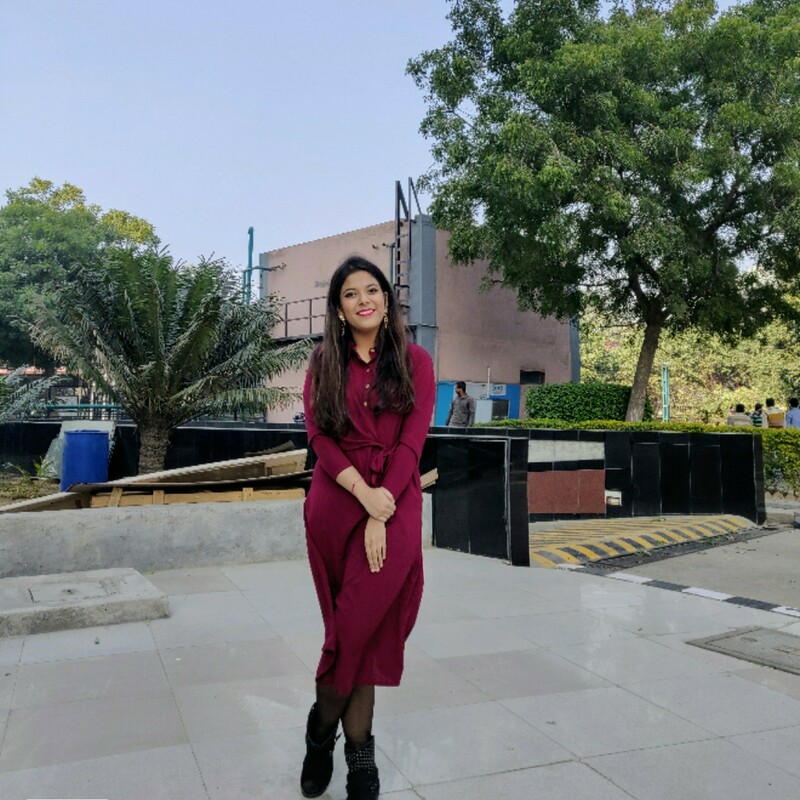 It has the ability to attract and pull out even the toughest and the tiniest of dirt particles, harmful chemicals, bacteria and micro-pollutants from your skin, leaving you with clearer and brighter looking skin. It also works as an excellent exfoliator and cleanser, ridding your skin of all its dead cells and fights off acne-causing germs to ensure that all your pores are clean. So, if you have been looking forward to deep cleansing your skin with a powerful natural ingredient, your search is over. We’ve found you 15 of the best charcoal face masks that can do absolute wonders for your skin and leave you with brighter and healthier-looking skin after each use! With an extremely mattifying texture, this unique face mask cleanses your skin thoroughly and pulls out deep-seated debris to purify your pores. It detoxifies your skin by absorbing oil and pollutants and gives you a clear, refreshed complexion. It is one of the best charcoal face masks in the country and proven to show quick results. Pros - It has a non-greasy texture, and tightens your skin. Cons - It’s a little costly. Price: Rs. 2,033. Buy it here. It’s an all-in-one treatment that detoxifies, brightens and invigorates the skin from the very first use. While the activated charcoal powerfully absorbs impurities, the presence of sulphur promotes cell turnover for a brighter skin tone. It also contains niacinamide, bamboo extract and wild mint which controls the presence of oil in the skin, tightens the pores and prevents acne. It also addresses the signs of skin ageing, breakouts and sensitivity all at once. Pros - It has been formulated without artificial fragrances, colours or parabens. Cons - It’s difficult to find them in stores in India; they are mostly available online. Price: Rs 3,995. Buy it here. This ultra-purifying charcoal face mask breathes life into your skin by digging out the deep-dwelling pore-cloggers and clears the way for your skin to act its best. The clay absorbs environmental toxins and also fights dullness and uneven skin tone to make your face look refreshed, radiant and healthy from the first use itself. Pros - It’s free of parabens and sulfates and shows a significant difference in your skin. Cons - Availability might be a problem and it's a little costly. Price: Rs 2,792. Buy it here. Inspired by Ayurvedic traditions, this 100% vegan face mask is dermatologically tested and infused with tea tree oil from Kenya, bamboo charcoal from the Himalayan foothills and green tea leaves from Japan. It draws out impurities and refines the appearance of your pores, giving your skin a healthy-looking glow. Pros - It’s vegan, cruelty-free and is proven to reduce acne and suntan. Cons - Depending on your budget, this might seem expensive to some. Price: Rs. 2,394. Buy it here. This face mask is infused not only with charcoal powder that is proven to absorb all the toxins, bacteria and dirt from your skin but also with basil extracts that prevent acne, pimples and skin infections. It also contains lemon oil known for its antiseptic and astringent qualities and neem extracts for their anti-bacterial properties. All of the ingredients work together to give you clearer, radiant skin. Pros - It’s beneficial for removing tan and reducing acne; it’s paraben and sulphate-free. Price: Rs. 428. Buy it here. This unique product works like a mask and a scrub in one and doubles the amount of detoxification that your skin requires. With activated charcoal, it helps absorb the pollutants, oil and impurities from the skin while black sugar helps exfoliate away all the dulling skin cells for clarity, softness and a glow that shows. Pros - It doesn’t overdry the skin and has a nice, earthy fragrance. Cons - It has a messy application process. Price: Rs 784. Buy it here. This all-in-one face mask is a one-stop solution for all your skin problems and gives you instant results. While the charcoal gets rid of excess oil and dirt, coffee exfoliates and removes dead skin cells. While the kaolin clay acts on acne and prevents them from occurring again, bentonite clay treats scars that are left behind. With cucumber, papaya and mulberry fruit extracts, it also lightens your dark spots. Pros - It is dermatologically tested; free of paraben, sulphates and synthetic fragrances. Activated bamboo charcoal not only removes impurities by exfoliating the dead skin cells but also restores youthful radiance and prevents skin infections. It nourishes the skin with restorative minerals and vitamins present in the Himalayan clay and protects the skin with an anti-bacterial shield of organic essential oils. It gently smoothens and tightens the pores, making your skin look fresh and radiant. Pros - It gives instant results and leaves your skin with a natural glow. Cons - It has a strong smell and is not easily removable if kept on for too long. Price: Rs 428. Buy it here. This is one of the best charcoal peel off mask. This mask has been specially formulated to unblock clogged pores by peeling all the dirt and spot-causing bacteria away from the skin. It acts like a magnet to draw out the most deeply rooted impurities and most unwanted toxins from your skin. It also enriches the skin by reducing the formation of wrinkles and sagging. If you suffer from clogged pores or troubles like blackheads and whiteheads, use a peel-off charcoal face mask on problem areas once a week. Pros - It provides instant pore cleansing and pore size reduction. It also gets rid of blackheads and whiteheads. Cons - It might be a bit painful to peel it off if you have a lot of facial hair. With activated charcoal and Multani-mitti as it’s base, it transforms the skin texture and makes it smooth. The charcoal that is present in this face pack is also made from wood and vegetable matter which absorbs impurities, toxins and dirt from the skin quite easily. It’s proven to make a significant difference from the very first use. Pros - It gives a perfect glow after each use; has a nice, fresh fragrance. Cons - It contains parabens. This non-drying charcoal mask is the creamiest of all face masks and deeply cleanses your skin from within. Not only does the combination of clay and charcoal capture all the impurities (dirt, oil and pollution) and draws them out effortlessly, but it also addresses your dull, tired skin to reveal a purified and radiant complexion. Pros - The complexion looks more even-toned and the skin feels softer than before. Cons - Because of the packaging, it might be messy to use. This face mask is enriched with activated bamboo charcoal that removes the most stubborn impurities, dirt and other toxins from your skin, leaving it fresh and naturally supple. It also helps in retaining your skin’s pH balance and its natural oils, thereby preventing the over-dryness normally caused by other charcoal face masks. Pros - It is paraben-free and works well to moisturise and brighten your skin. Cons - It gives a slight burning sensation at first (might vary from person to person). This creamy activated charcoal face mask can do wonders in detoxifying and purifying your skin. The charcoal makes the skin soft and smooth by drawing out the toxins from deep layers of your skin and provides boosted hydration and intensive toning. It can also diminish the arrival of wrinkles and act as a blackhead remover. Pros - It removes blackheads and contains glycerin which prevents the skin from drying. Cons - It lacks an applicator which leads to a messy use. Enriched with activated charcoal powder and Alteromonas Ferment extract, this face mask has high absorbing properties that gently remove sebum, dirt and toxins, shrink the pores and combat blackheads and whiteheads. It also minimises hyperpigmentation, dullness, acne and improves the glow of your skin.Also, its a charcoal face mask for oily skin. Pros - It unclogs pores and balances the oil levels in your skin. Cons - It takes a while to show noticeable results. This charcoal face pack is a blend of 7 natural ingredients like tea tree oil, Kaolin clay, Bentonite clay, aloe vera extracts, jojoba oil, clove oil and chamomile extracts. Hence, apart from removing dirt and impurities from the pores, it also prevents acne, fights from blemishes and provides a deep cleansing by re-hydrating the skin. Pros - It has a nice fragrance and shows a significant difference in your skin. Cons - It can cause slight irritation (for those with sensitive skin). Price: Rs 606. Buy it here. 1. Are Charcoal Face Masks Really Beneficial? You can easily expect charcoal face masks to unclog your pores and absorb environmental pollutants, oil and impurities from the skin. It first works like a magnet to draw out the bacteria, chemicals and other unwanted micro-substances on the surface of the skin and then carries them away as you rinse your face. While the results might vary from person to person, charcoal enriched face masks have at least a 90% chance of showing visible results from day one of its use. 2. How Many Times Can You Use A Charcoal Face Mask In A Week? Depending on the requirements of your skin, charcoal face masks can be used anywhere from one to three times a week. If you have extremely oily skin, you would need regular cleansing of impurities and dead skin cells, which means you would need to use this more frequently. 3. What Happens If You Leave A Charcoal Face Mask Overnight? Leaving a charcoal face mask overnight or for a significantly longer period than instructed can actually do more damage to your skin than good. Leaving the mask on overnight might result in very dry, dehydrated skin. Hence, it's important to make sure you rinse off a charcoal mask in the recommended amount of time. 4. Can I Use A Charcoal Face Mask every day? No, using a charcoal face mask on a daily basis could actually dry up your skin too quickly and give it a rough and stretchy texture. You don't want that now, do you? 5. Can Activated Charcoal Whiten Skin? Yes, activated charcoal is a gentle exfoliant and helps to lightly scrape off dead cells from the surface of your skin, giving you a clear and glowing skin. So, if you're plagued with dark spots, hyperpigmentation and blemishes, charcoal can definitely help in lightening your skin tone by a significant amount. 6. Do Charcoal Masks Remove Blackheads? 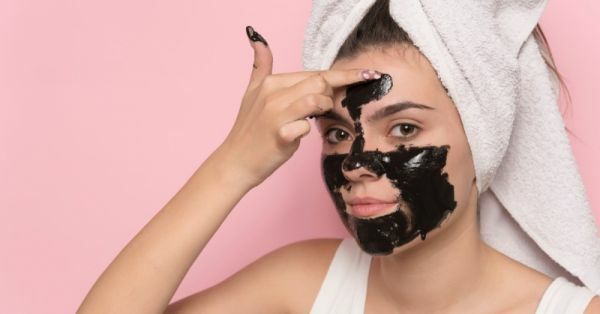 Yes, many beauty enthusiasts include products containing activated charcoal in their daily regime to combat blackheads and whiteheads, gently without damaging the texture of the skin. In fact, a charcoal-induced peel-off mask would work even better than a charcoal face pack or sheet mask. 7. What Should Be Applied On Skin After A Charcoal Face Mask? After rinsing off your mask with water, you can either leave it as it is or use a moisturizer or a nourishing cream to make your skin smooth and prevent it from drying. 8. What Are The Side Effects Of Charcoal Face Masks? If you've ever waxed your sensitive skin, you may have experienced an itchy sensation, redness, irritation or rashes for some time. The charcoal face masks are known to cause a similar problem, varying from one person to another. Hence, it's advised to use a charcoal beauty product only from a trusted brand and test it on a small patch of your skin before applying it on the whole face.